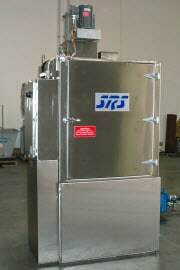 SRS Designed Equipment’s automatic enclosed drum washer unit, the DW-Series (Drum Washer) and DWC-Series (Drum Washer/Crusher) are designed to clean large containers including drums, barrels, and overpaks, as well as handle small containers such as pails, buckets, jars, lids, and other specialty parts. The DW-Series (Drum Washer) and DWC-Series (Drum Washer/Crusher Combination) both feature corrosion resistant, high pressure pumps and spray nozzles which can remove even the most difficult residues from the containers. Additionally, the high impingement jet spray technology can even eliminate cured resins and paints. A vapor tight lid is typically used to ensure vapor containment. And finally, an interlocked lid, secure sensors, and ground proving switches are standard features to ensure maximum operator safety. 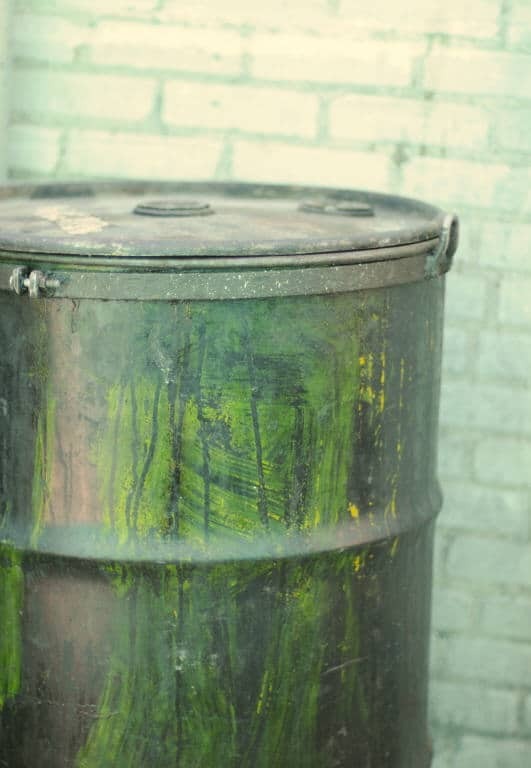 The cleaning liquid used in the primary wash cycle can also be recirculated to an external containment reservoir, tank, or built in sump tank to minimize the volume required. 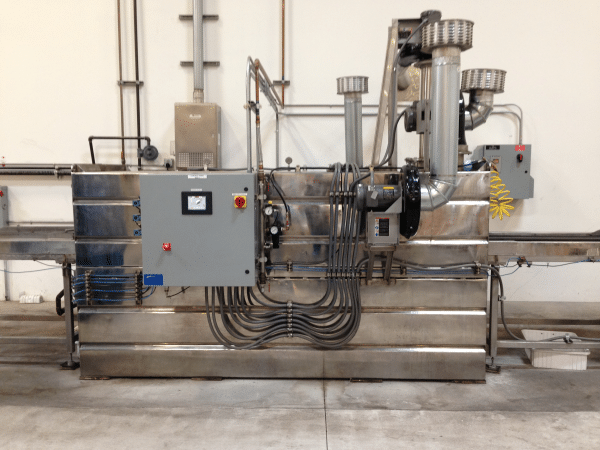 The rinse can then be disposed off site, recycled, or returned to a dirty wash tank as make-up (commonly used in Closed-Loop System cconfigurations). SRS DE is the leading manufacturer of drum washers and barrel washers. 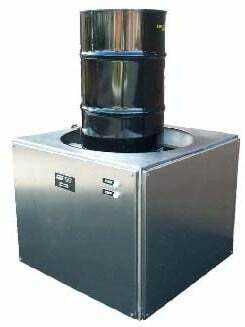 The DW-Series Drum Washers were designed for applications such as 55 gallon drum washing, 44 gallon drum washing, 200 liter drum washing, 30 gallon drum washing, as well as bucket and pail washing. 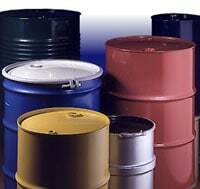 Custom solutions for industrial washing applications are also available.